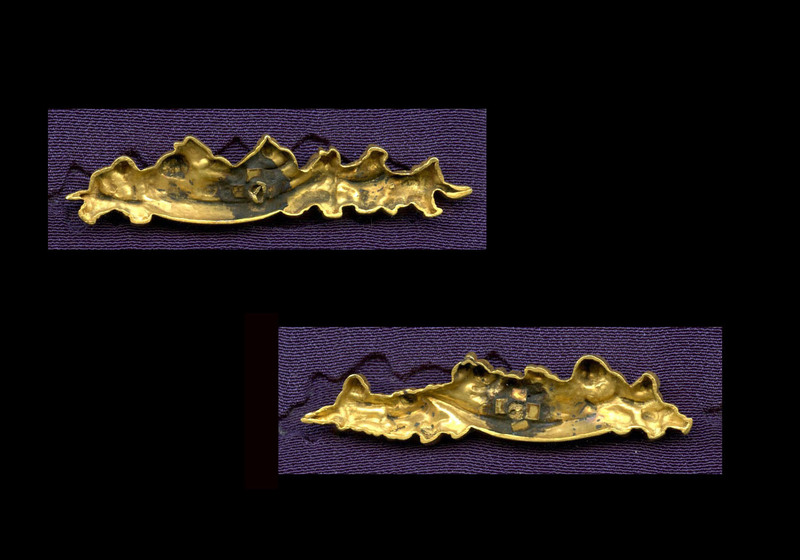 This is an extremely large set of solid gold menuki made by the tenth mainline master of the Gotô school. They measure 2.46 inches or 6.26 cm by .45 inches or 1.15 cm. 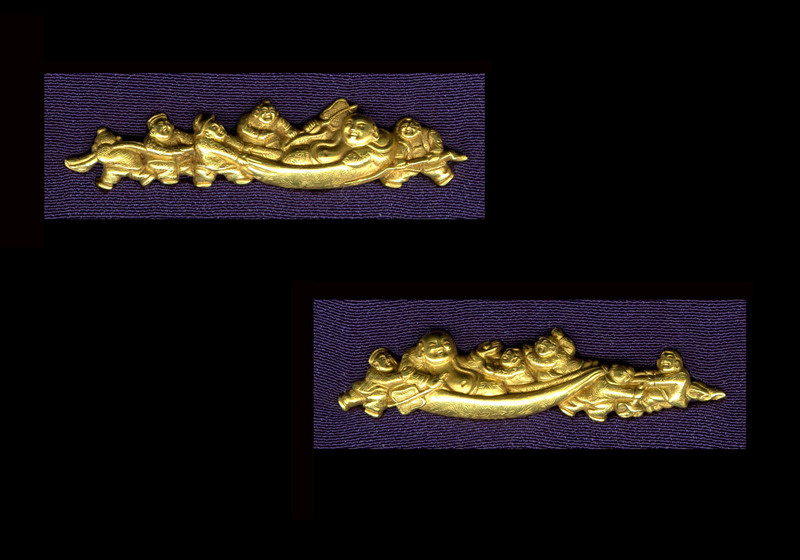 As stated they are of solid gold. 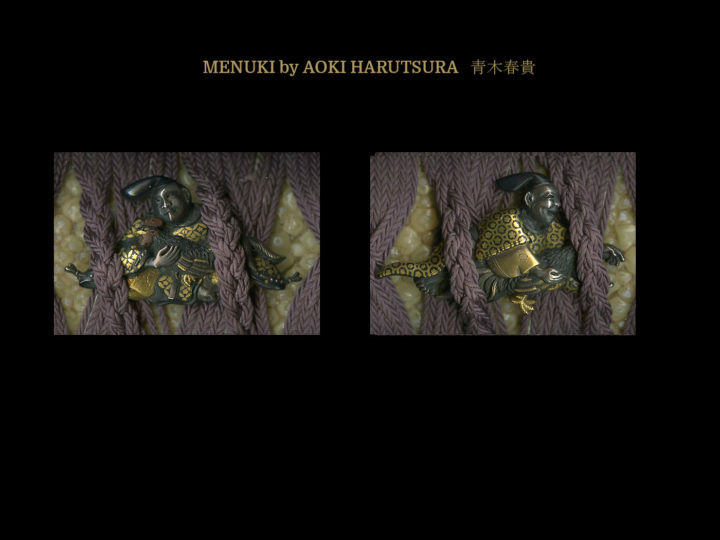 They depict Hotei being pulled in his bag by his minions. They are pulling and pushing with great effort. One of them even has a large branch that he is trying to use as a lever. Quite amusing. They are in exquisite condition. Gotô Renjô was born on November 2, 1628 and he died on December 23, 1708. He was the fourth son of Gotô Sokujô and the nephew of Gotô Teijô. His father died when he was five years old. When his father died his uncle, Gotô Teijô, who was the ninth mainline Gotô master became his guardian. Renjô succeeded to the title of master in 1645, thus becoming the tenth master of the mainline Gotô family. 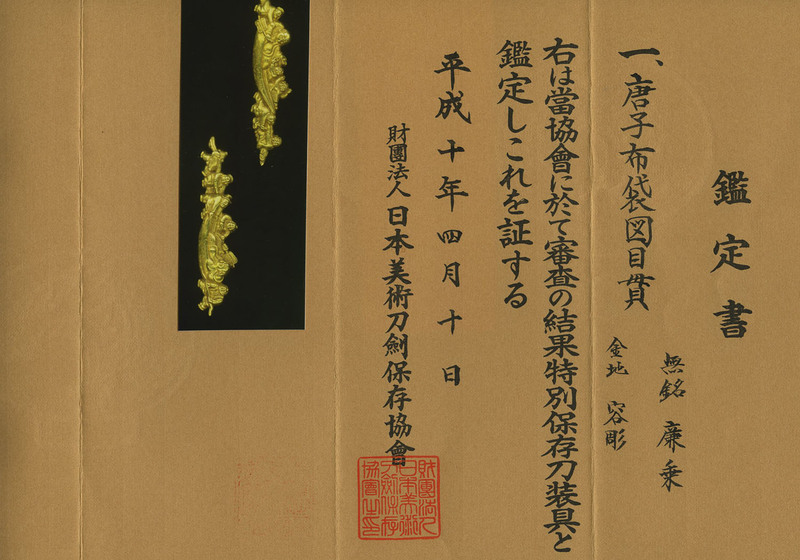 In 1656 he moved the mainline Gotô family to Edo at the request of Tokugawa Ietsuna, the fourth Tokugawa Shôgun. After his only son died, the third son of Gotô Senjô (Renjô’s nephew), Gotô Tsujô, became his heir. Renjô did not get along well with Gotô Tsujô and he refused to teach him many of the traditional Gotô school secrets. 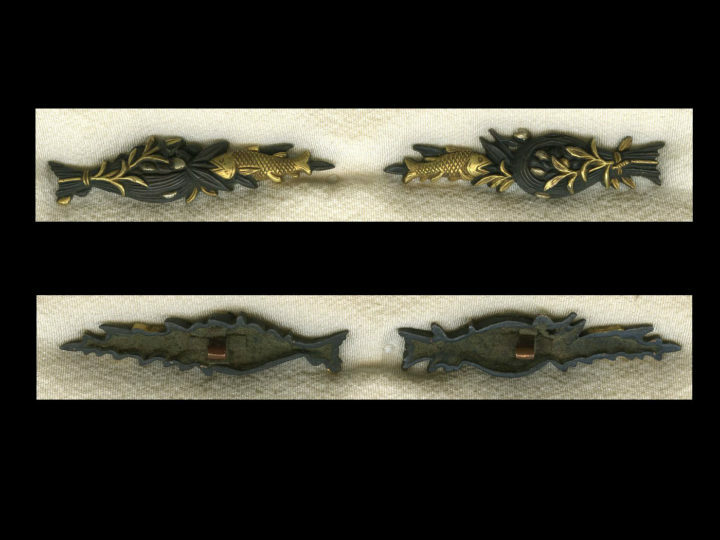 For that reason, Gotô Renjô is thought of as the last link between the original Kyoto Gotô mainline school and the later Edo Gotô school which did not keep to the classic style of the family art. 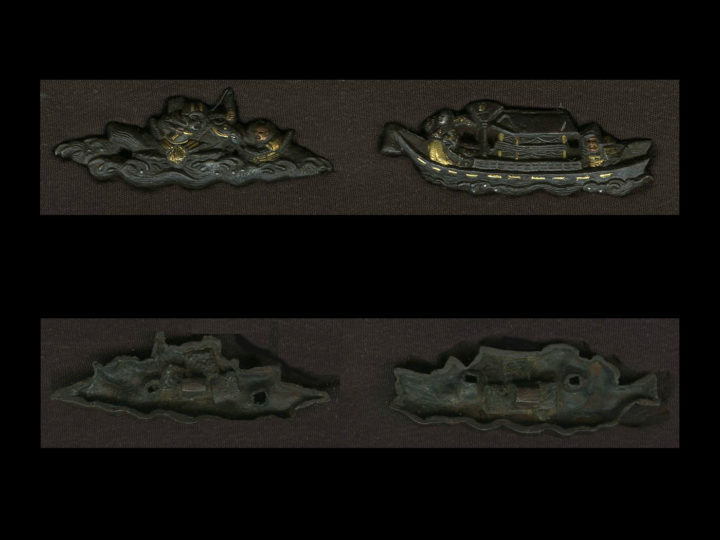 These menuki come with Tokubetsu Hozon papers from the NBTHK attesting to their quality and attesting to the attribution to Gotô Renjô. They come in a custom made fitted wooden box. 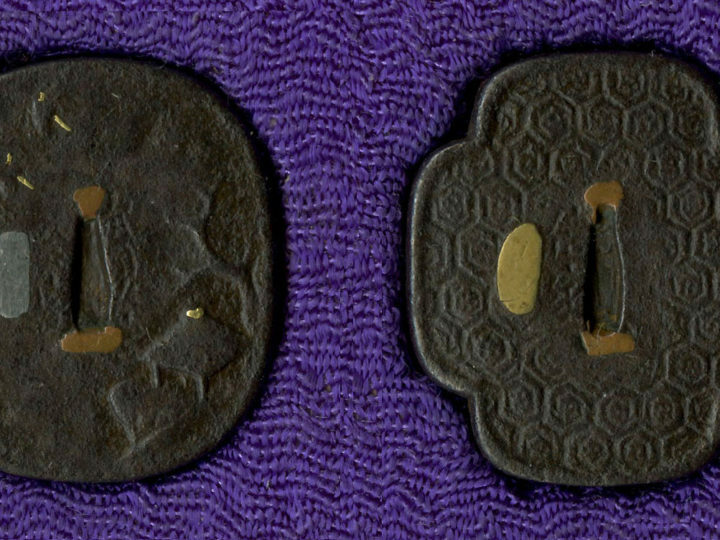 Please believe me when I say that photos do not do these menuki justice. They are truly works of art.